Cholesterol is the fatty substance present in the blood. Cholesterol is necessary for the building of healthy cells. When the level of cholesterol in our blood increases, it can lead to certain risks. When there is high blood cholesterol they get deposited on the walls of the blood vessels and prevent the normal flow of blood. cholesterol, heart will not get enough supply of oxygen rich blood and this will lead to heart attack. When the blood flow to the brain decreases it may cause a stroke. High blood cholesterol is caused by unhealthy lifestyle and heredity. High blood cholesterol is preventable and treatable. Being overweight, sedentary lifestyle and alcohol consumption increases the cholesterol level. Healthy diet, changes in lifestyle and some home remedies will help you to keep the cholesterol level under control. This is one of the most effective ways to reduce excess cholesterol in blood. Red rice is a natural source of statin which is best for reducing cholesterol. Consume red rice instead of polished white rice. This remedy has high soluble fiber content. The mucilage present in the psyllium husk cleanses the blood vessel and reduces the cholesterol. Mix 2 teaspoons of psyllium husk with water. Drink this mix morning and night to get faster result. Oats help to reduce the cholesterol level naturally as they contain beta-glucans. Use rolled oats to make porridge and consume at least twice daily. The apple peels contain antioxidants which will reduce the oxidation of LDL or the bad cholesterol. This will reduce the build –up of plaque in blood vessels. It is better to consume organic apple peels as the others may have pesticide content in them. Consuming the seeds like pumpkin seeds, almonds, sunflower seeds, watermelon seeds, sesame seeds etc reduce the cholesterol level as they contain high levels of plant sterols which reduce the fat in blood. Consume a handful of the seeds every day to reduce the bad cholesterol and increase the level of good cholesterol. You can also use them in various food preparations. Drinking green tea can reduce the low density lipids or fats in the blood which are bad for your health. The antioxidants present in green tea help to balance the cholesterol level. This will reduce the risk of heart diseases and stroke. Drink green tea whenever possible. Consume at least 2-3 cups daily to reduce cholesterol. This home remedy will be appropriate for high cholesterol level resulting from the effects of smoking. Smoking increases the bad cholesterol level. Use alcohol in moderate level to increase the HDL cholesterol level. Increase the intake of organically produced grapes. Soybeans are rich in antioxidants and they also have anti-inflammatory property. You can use soybeans in various food preparations, if you want to control the blood cholesterol. You can also use tofu to increase the soy intake. This remedy works by limiting the synthesis of cholesterol in the body. A compound present in artichoke called cynarin increases the production of bile in our body which helps in the excretion of cholesterol from the body. Include artichoke leaf in your diet along with other cholesterol reducing food items. Saturated fats increase the LDL cholesterol level in our body. So, it is necessary to avoid food items containing saturated fat. 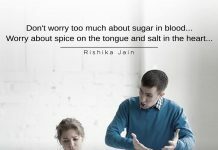 Avoid the use of red meat, dairy foods, milk, palm oil, butter etc. Replace the above food items with fish, chicken, skimmed milk, vegetable oil or olive oil, etc. This is one of the best remedy for high cholesterol. They reduce the risk of high blood pressure and reduce the development of blood clots in the blood vessels. Include a rich source of omega -3 fatty acids in your diet. Salmon, mackerel, flax seeds etc are good sources of omega -3-fatty acids. If you have high levels of blood cholesterol, stop the use of other oils and shift to extra virgin olive oil. Olive oil contains antioxidants which remove the toxic contents from the body and lowers the bad cholesterol level. Use extra virgin olive oil for preparing food. You can also use it as salad dressing. Heating the olive oil will reduce its goodness. If you are overweight that may the main reason for high cholesterol level in the body. Losing 5-10 pounds will reduce the cholesterol level. Have a healthy diet containing the fruits and vegetables which help to reduce weight and cholesterol. You can improve your good cholesterol level by exercising. Do 30 -60 minutes of exercise every day to find benefits. You can opt for the following exercises. Ride your bike for one hour. Swimming for half an hour can burn the excess fat in the body effectively. Are you an obese person? Are you worried about the high blood cholesterol level? Do you want to reduce the bad LDL cholesterol? 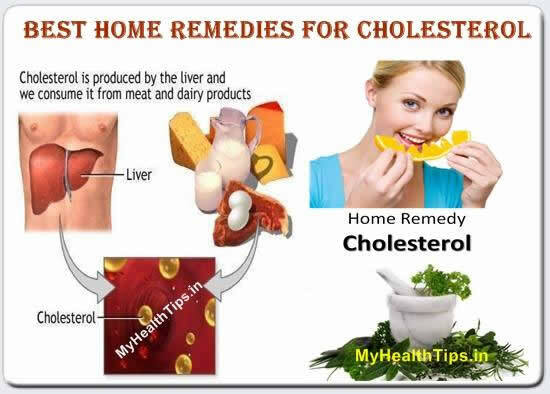 Then try some of the above given home remedies to control the blood cholesterol level and get benefitted by them. It is necessary to continue the remedies at least for a few weeks to see the difference in cholesterol levels in the blood. You can use two or three remedies together to get better and faster reduction in cholesterol level. 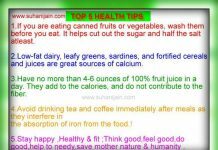 Home Remedy – Health Inspirations ~ Encouraging a Beautiful You!!! !